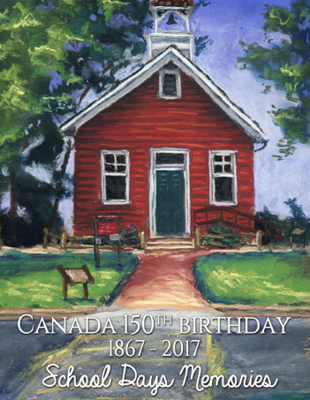 In 2015 AGS President Susan Haga asked AGS Branches to undertake a project to recognise Canada’s 150th birthday that will be celebrated in 2017. Eleven members of Wetaskiwin branch answered the call, choosing a theme common to all: “School Days Memories”. Our memories come from a similar time period—the 1950s and 1960s. Reflecting demographics, our experiences came from many parts of Canada, and even one from beyond our borders. Certainly these memories are of situations and expectations long past, and as such are part of our country’s story. Realizing that our talents did not extend to graphic design we are grateful to Mika Malloch, a professional graphic designer in Montreal, niece of our members, Neil and Claudia Malloch for designing the cover of our School Days Memories. Members of Wetaskiwin Branch of AGS mark Canada 150 by writing our stories. 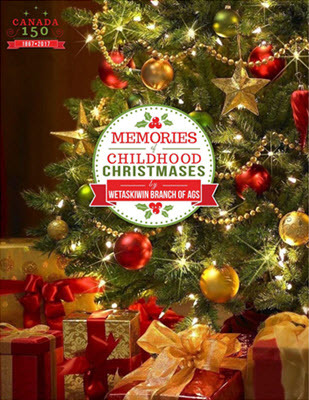 In this issue, we remember the ways that we celebrated Christmas in our parents’ homes. These events happened by and large in the 1950s, but traditions, as they do, extend further back into our families’ pasts. We thank Mika Malloch for designing the cover of this booklet. Note: Copyright belongs to the specific author of each of the stories written here.